I became a member of NCWN the year it began. Early on, I served on the NCWN Board of Trustees for one year. However, as I lived in the far Western North Carolina mountains, nearer to Georgia and Tennessee, I could not often get to the meetings held in the Raleigh area. Therefore, I had to give up my seat on the board. This was before skype and conference calls were available. The spirit of when and how North Carolina Writers’ Network West was founded and how it grew as a writing program for writers in the far western NC mountains is like litany to me. I know it. I lived and breathed it for now going on 24 years. There were only a few writers in the far western Carolina mountains at that time. In Clay County, resided Doris Buchanan Smith, author of the classic “A Taste of Blackberries,” and sixteen other books for young people. There were poets Janice Townley Moore and I, Nancy Simpson. Fifteen minutes away in Young Harris, Georgia, were Bettie M. Sellers who became Georgia Poet Laureate and the now well-known nonfiction author Steven Harvey. Two and a half hours away in Cullowhee lived our friend Kathryn Stripling Byer. All of these named, myself included, became members of NCWN shortly after it was organized in 1985. The NCWN newsletter, The Network News, provided a list of magazines calling for poems, stories, book reviews and essays. Most of us, at that time, joined NCWN so that we received The Network News with its updated calls for submissions. There was no such thing as the World Wide Web where one can now easily search for magazines and their submission guidelines. Here in the farthest western mountains of North Carolina there was nothing for writers. WCU had a strong English Department but no writing program as yet. Fifteen minutes away across the Georgia State Line, Young Harris College had a famous English Department, but it was only a two-year college. They had no writing program at the time. During 1990, NCWN Executive Director Marsha Warren mailed a survey to NCWN members living here in the mountains. At the same time, then NC Arts Council Literature Director in Raleigh, Debbie McGill, also mailed a different survey to writers. Both organizations seemed to want to know about the mountain writers. They asked questions about what we needed. Included was a place for comments. The results of both surveys moved these leaders to reach out and help writers in the mountains. A few days later, I received a formal letter on NCAC stationery signed by Kathryn Stripling Byer. That letter was sent to all writers in the area, asking us to come to a meeting on the same evening that I was invited to have dinner with Debbie Mc Gill. I rode over the mountains with Bettie Sellers of Young Harris, Georgia who had also received a letter. At dinner before the meeting, Debbie McGill asked me to help form a writing group in the mountains west of Asheville. I said I would. That evening in Jackson County, Rita Rudd, a writer who lived there, volunteered to get organized in Jackson County. I took a copy of the membership list of NCWN and NCAC members living in Clay County (Hayesville), in Cherokee County (Murphy), and in Macon County (Franklin). I set up a meeting for NCWN members in those three counties. We met in Murphy, the farthermost western NC town, with eight attending. The NCWN members were delighted to meet other writers in the mountains and planned to meet again. We discussed how we felt far away from the writing centers of America, and all expressed how we were also far away from the writing centers of our own NC state. We saw immediately that we could do nothing to advance literature and writers here unless we worked together. Debbie McGill, NCAC Literature Director, kept in touch with me and suggested we try to get as many writers as we could to join NCWN. A few months later mountain writers met again, all of us members from Clay, Cherokee, Macon, and Jackson County. That meeting was held in Franklin, Macon County. Rita Rudd found a meeting place for us. In one of her phone calls Debbie told me at that upcoming meeting to ask the writers if they wanted to become a “program” under the umbrella of NCWN. I took the vote. About fifty were present and voted unanimously to become a program of NCWN. Rita Rudd and I, working together, held our first annual picnic on the picnic grounds of Western Carolina University. We encouraged those attending to join NCWN. McGill for setting up that meeting. Several mountain members came to the conference. Kathryn Stripling Byer and I attended that NCWN meeting. Marsha Warren and Tony Abbott were friendly. They extended an invitation for the NCWN mountain area members to become the program that became known as NCWN WEST, under the umbrella of NCWN. Based upon the vote I had taken in Macon County earlier, Kathryn Stripling Byer and I said “Yes.” It was a historic moment. I will always be grateful to Marsha Warren, who worked with dedication to get NCWN West organized. She is the one who named the counties and areas to be served as NCWN West: Cherokee County, Clay County, Graham County, Haywood County, Jackson County, Macon County, Swain County, Transylvania County, and adjacent counties in Georgia, Tennessee and South Carolina. During my service as Program Coordinator, I was asked to include Qualla Boundary and get two representatives, which I did. Under Glenda Beall’s tenure as Program Coordinator, Glenda was approached by members in Hendersonville and in 2008 Henderson County was included as part of NCWN West. We are a large territory. According to Executive Director Marsha Warren: NCWN West would allow NCWN to reach into the mountains, something that they had been unable to do before because of the geography of our very wide state. It was not an easy task for Marsha Warren to organize the mountain writers. Here we live miles and mountains apart within our thirteen different areas located south and west of Asheville. At that time, it could take three and a half hours to drive from my home in Clay County to Transylvania County. It was slow going at first because every time we met, inevitably there were the same discussions about who is president and who is treasurer. We learned we had no need for the usual officers. We had no need for by-laws because our by-laws were the same as those of the Network. However, Marsha Warren insisted that we needed two representatives from each county “who have their finger on the pulse of their writing community.” Marsha was emphatic that when NCWN West members met, it should not be for business but should be for our writing. I loved that idea and still love it to this day. Marsha said we should plan writing activities for NCWN West members in our counties, and we would probably have to combine two or three counties because none of the counties had more than a few members each. Anytime NCWN funds were used for workshops all NCWN West members should be invited. Marsha instructed us to seek and find a free venue for our meetings. We were to invite all writers in the area to our events, not members only. She encouraged us to use local newspapers to promote our activities. The critique group allowed writers to visit and see how the critique worked. They could then join or decide not to join. Marsha Warren said there should be at least one annual event where all the members could gather. She also emphasized we must have a representative on the executive board. You can easily see why I say she was brilliant; Marsha thought of everything. She visited the mountains three times. Marsha named Rita Rudd of Cullowhee as the first, official, Program Coordinator. I suggested we keep having the annual picnic and Rita Rudd liked the idea. We worked together on the details. The Second Annual Picnic was held in Clay County on Lake Chatuge in 1992. However, soon after that Second Annual Picnic in Clay County, Rita Rudd left the area with her husband who had been a professor at WCU. I was asked to take the job of Program Coordinator as a volunteer. Later I was paid a small stipend. Through the years, Debbie McGill, of NCAC, continued to help NCWN West get financial support in various ways through NCWN. After I became NCWN West’s Program Coordinator, Debbie McGill traveled to the mountains. 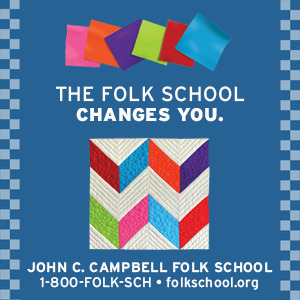 She and I met with Jan Davidson, Director at John C. Campbell Folk School. Debbie solicited his help. Due to the efforts of one of our members, Dr. Gene Hirsch, Davidson had added Writing as a craft to be taught at the folk school. Davidson told Debbie McGill that he wanted JCCFS to be a home for the mountain writers. Poet, Gene Hirsch, who then lived in Murphy, was named the first Resident Writer at JCCFS. He has consistently been one of our most devoted NCWN West members. While Dr. Hirsch was Resident Writer at JCCFS he established a monthly public reading forum for our members. This monthly reading series later titled Poets and Writers Reading Poems and Stories continues to this day as a cosponsored event of NCWN West and JCCFS. One of my jobs as Program Coordinator was to establish our first monthly writing critique group at Tri-County Community College, which continues to this day. I asked Dr. Hirsch to be our first workshop leader. Dr. Hirsch later moved to Pittsburgh, PA, keeping a vacation home here. He had to give up his commitments in western North Carolina. Even though Dr. Hirsch was no longer a permanent resident of the mountains, we insisted that we be allowed to keep him as a member, and he was “grandfathered” by NCWN. This spring, while visiting in Cherokee County, he was the featured reader at our monthly JCCFS reading program he had originally started. After Dr. Hirsch left, I continued the monthly Poets and Writers Reading Poems and Stories at the folk school. I assumed the workshop leader’s job temporarily, and the critique group became so large it had to be divided, with poets meeting the first Thursday evening of each month and prose writers meeting the second Thursday evening of the month. I found volunteer workshop leaders for both. From 1991 to 2014, the Annual NCWN West picnic was held on the second Sunday of September. During the years it was held a number of times at Western Carolina University picnic grounds, twice in Macon County, a number of times in Clay and Cherokee Counties, once at Fontana Dam in Graham County, in Haywood County, in Maggie Valley, and in Henderson County. It was a no-cost event. Members in the host county provided the paper plates and utensils and everyone brought a covered dish. The host county featured a special guest (with no pay) and there was always an open mic reading. A table for the sale of books by members was provided. Often we had forty writers or more who came from the different counties. Local newspapers covered these events. It became the Program Coordinator’s job to get a host county each year and to send out information about the picnic. The picnic was a time and place to meet new writers and talk about writing. It became a place for visitors to join NCWN, and many writers joined that day. The last three picnics were held in Cullowhee, with Program Coordinator Kathryn Stripling Byer of Jackson County hosting the event in 2011. The special guest was NC Poet Laureate Cathy Smith Bowers. In 2012 Program Coordinator Rosemary Royston hosted the annual picnic on Lake Chatuge in Clay County and featured the poet, Scott Owen. In 2014, Ellen Schofield, Program Coordinator, held the yearly picnic in Henderson County. I served as Program Coordinator from 1993 to 2004, having been a co-founder of NCWN-West since 1990. I continue to serve as a consultant. During all the years I served as PC we were a program. NCWN helped us in many encouraging ways. They set up Saturday Writing Workshops, two to four times a year, held in the different counties. As Program Coordinator, I suggested the instructor we wanted and I had to find a free venue. I organized three conferences titled Writers Talking All Day about Writing, two of them held at John C. Campbell Folk School. The first was all-volunteer. I asked my accomplished writing friends, Kathryn Stripling Byer and Steven Harvey to volunteer as presenters. Seventy-five people attended the first Writers Talking All Day About Writing. The second one was also held at JCCFS, and the folk school wrote a grant for us so that the speakers could be paid. Seventy-seven writers attended. Because of the grant, we were not allowed to charge a conference fee. Shirley Uphouse and I began working together with Cherokee County Representative, Paul Donovan, to produce the anthology LIGHTS IN THE MOUNTAINS, Stories, Essays and Poems by writers living in or inspired by the Southern Appalachian Mountains with an Introduction by Fred Chappell. Our NCWN Board Representative at the time was Lois Tomas. She petitioned the board in our behalf and secured permission for NCWN West to publish the anthology. The third Writers Talking All Day about Writing that I organized was held at Clay County Senior Center and was based on a grant I wrote to pay for the printing of LIGHTS IN THE MOUNTAINS. Forty-five attended. The grant was written for funds for printing the anthology with the promise that NCWN West would give a free all-day writing workshop open to writers of the area. Members gave their time and no fee was charged to participants. Ingles Bakery in Hayesville donated a huge cake with mountains on it and the words: LIGHTS IN THE MOUNTAINS to celebrate the launch of our anthology. In 2001 and in 2003 I had surgery and had to resign in 2004 to work on my recovery. After my tenure, other program coordinators did amazingly well to improve and grow the NCWN West program. NCWN budgeted for NCWN West and continued to pay a stipend for our Program Coordinator. In 2005, Shirley Uphouse became our next program coordinator. It was during her two years of leadership that members of the board of NCWN began drawing up guidelines for a NCWN West Chapter. Board President and Board Member from Haywood County, Nikki Leone and Al Manning sent out a draft of these guidelines that were to be voted on by the NCWN Board of Trustees. Shirley Uphouse was very efficient. She set up a bank account for NCWN West with Macon Bank in Murphy. She planned and carried out two very fine writing conferences using funds we had raised with sales from our anthology. One of the conferences was held at Lake Logan Episcopal Center in Canton, NC. with newly appointed NC Poet Laureate, Kathryn Stripling Byer as the keynote speaker. The Lights in the Mountains writers’ conference co-chaired by Glenda Beall and Shirley Uphouse was held in Clay County at Hinton Rural Life Center in 2006. Debbie McGill, still looking over our interest, came all the way to Clay County to encourage us on. Glenda Beall became Program Coordinator in 2007 after Shirley Uphouse, in poor health, had to resign. Glenda Beall was a strong leader. 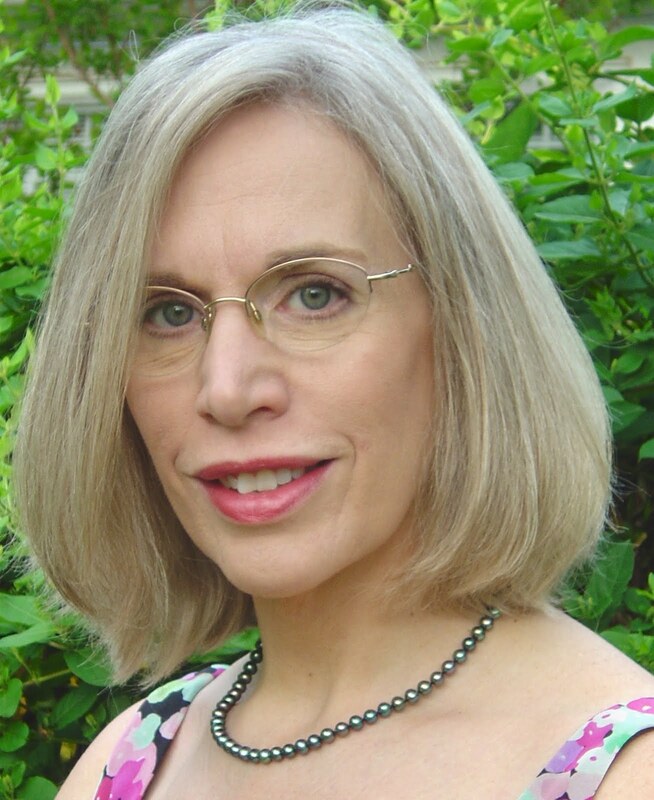 She began the reading series, Coffee with the Poets, which continues today in Hayesville. She set up the Netwest Writers blog and used it to promote writers all over the far west mountain region. She attended the NCWN Spring and Fall conferences and worked closely with Nikki Leone as the new NCWN website was constructed. Nikki created a spot on the home page for the NCWN West Blog. Glenda called for a meeting in Hendersonville for all writers in that county. Ed Southern, new Executive Director, came and spoke, along with several of the NCWN West County Representatives including J.C. Walkup and Nancy Purcell. At that meeting Lana Hendershott was asked and accepted the position of Henderson County Representative. Lana and Pat Vestal, who became a representative a few years later, began an Open Mic for writers at the Hendersonville library. When Glenda Beall took the Program Coordinator’s job, she was given a copy of the guidelines for the NCWN West Chapter, not knowing the document had never been accepted by the NCWN Board. Glenda secured sponsorship from United Community Bank and secured advertising from John C. Campbell Folk School. Glenda Beall managed the production and publishing of our second anthology, Echoes Across the Blue Ridge, Stories, Essays and Poems by Writers Living in or Inspired by the Southern Appalachian Mountains, with an introduction by Robert Morgan. I was asked to edit the anthology. I called for the poems, received them in my mailbox, read, accepted, rejected, and edited until it was completed. Glenda Beall served as marketing manager for the selling of the anthology. Glenda was forced to resign as Program Coordinator in September of 2009 because of her husband’s health and his subsequent death. She continued marketing of the anthology for another two years, and with the help of dedicated representatives, sold approximately 1500 books. She continued to administer the Netwest Writers blog where news of our members and articles on NCWN West events are posted. In 2010, Kathryn Stripling Byer stepped in and served as Program Coordinator for one year. Dr. Newton Smith was appointed as treasurer of NCWN West. Kathryn asked Robert Morgan to write an introduction for our new anthology. Her friends, Lee Smith and Ron Rash lent their high praise to the book. Kathryn launched Echoes Across the Blue Ridge, the anthology, at City Lights Book Store in Sylva with over 100 attending. We had some funds left from the first anthology, but they were dwindling. We were happy to finally have more financial security so we could hold the workshops and conferences needed by our writers in the mountains. In 2010, poet and active representative of NCWN West, Karen Paul Holmes established a Writers Night Out each month in the Georgia counties. She invited writers from the Atlanta area and other regions of North Carolina and featured them before an open mic event. As many as thirty people attend each month. Kathryn Stripling Byer resigned after one year because of family health problems. Rosemary Royston became the next Program Coordinator in 2010. Although very busy with her work at Young Harris College and raising two children, Rosemary spread the word about the Appalachians and its writers, while raising awareness of the accomplishments of our members. She served two years before she had to resign because of family health problems. In 2013, Ellen Schofield was hired as Program Coordinator. During her tenure she worked hard, traveled to several counties outside the area where she lived and set up a website for NCWN West. Ellen, along with Kathryn Byer, Newt Smith, Glenda Beall and other volunteers, held a great conference at the Library in Sylva, NC in 2014. Ellen resigned in 2014. In 2015, we learned that we are once again a Program of the NCWN. We are not a chapter. Imagine how my heart filled with joy. For me, the best days were when NCWN West was a well-loved program. I believe those days of working together for writers in the western North Carolina mountains will return quickly. Recent guidelines issued by the Board of Trustees makes clear how we will work in the future with NCWN. We can choose a Program Coordinator, appoint volunteers for various positions, and continue to hold workshops and conferences in our region. NCWN West will continue with representatives in each county. The representatives carry the mission of NCWN West into their meetings, their readings, and are, as they have always been, the backbone of NCWN West. We celebrate our founding and look forward to many more years of bringing unity to writers throughout all the NCWN West territory. This is a fantastic article about the founding of Netwest. You've done a fabulous job, Nancy. I enjoyed this article very much. Thanks Brenda Kay. I remember what a tough time I had last fall when I was trying to get the (history of NCWN West) information together. No one seemed to remember how it all started 23 years ago. It suddenly seemed important to write it down for us as well as for the executive board. Thank you for your appreciation. Yours, the only comment, means so much to me. Let me know if there is anything I can do for you. I'd love to feature your poems on my site.